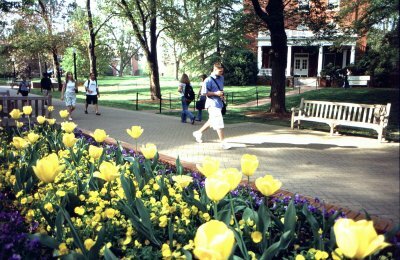 UMW is one of the most amazingly beauitful colleges in the US. this can not be debated…if you go to this school then i think you will agree…anyways if you like beauty and nature than this is def the school for you if not then stay away. most of the people who go here are extremely close-minded and are very insensitive to different cultures. lots and lots of new england preps who think that money is what life is all about. then you have the few but nice people who came to college for the learning and life expereince and dont judge others. dont let me forget about the few minorities on the campus…the school intentionally seperates us from the rest of the campus in this summer program they cal STP which stands for Student Transition Program. As if we needed the extra help adjusting to campus life more say than one of our white school mates. within this program the minorities of course form bonds with others in the group and when the fall semster rolls around we have been basically segregated into our own minority friend cirlces and cast off by the rest of the campus. it doesnt feel good to tell people that you went to a summer trasition program. many white students then bring up the issue of affirmative action as if we didnt get to this school by our merits, some automatically assume that because of this program we got to this school by the color of our skin and not because of the knowledge that we acquired. this school is very racially divided no matter what anyone tries to say we all know it's true. As a university we try so hard to come across as if we are diverse either in our thinking or in our population, but we are not diverse in either. the only good things about this campus are the academics and it's beauty. i stay at this school for a good education and if that is what you are looking for then this is the place. it give many a chance to challenge themselves academically and to challenge themselves in other areas they were not expecting.